We are your source for Pursuit, Regulator, and Robalo Boats and Yamaha Outboards sales and service. We service Westchester County, NY along with Fairfield and New Haven County, CT. AND BEYOND! We make owning a boat easy. We have two (2) on-the-water locations with in-water service and storage slips and a lift at each location. 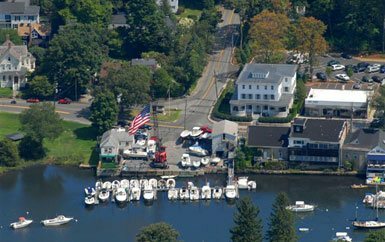 Our Rowayton location is situated on the scenic Five-Mile River. We have 45 dock spaces on the water and the capability to haul/launch a 40’ boat. We have a small showroom where you can sit down and discuss your boating needs with Owner, Ted O’Neill. Our Full Service department at this location is run by Owner, Gary Arcamone, and staffed with mechanics that attend Yamaha training school each year and are updated with new products and changes through seminars. 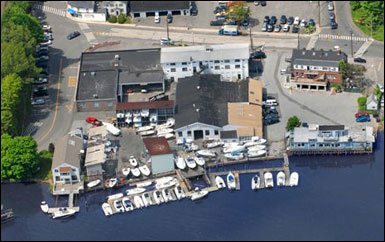 To access our Rowayton Shop by water go the the Five Mile River in Norwalk, CT. Go all the way up the river to the last Marina on your right next to the Rowayton Market. To access our Westport Shop follow the main channel for the Saugatuck River past the train bridge and we are located on your left. The Westport Shop is located next to the Black Duck Bar and across from the Westport Public Launch Ramp. Call us to discuss boats or service anytime at (203) 838-9038 or (203) 222-9038.